This section reviews developing a continuous professional development plan focused on post-acute and long-term care (PA/LTC) medicine, utilizing relevant opportunities from professional organizations (AMDA, AGS, AAFP, ACP, SHM, AAHPM) licensing requirements (state, national, province) and maintenance of certification programs. This module discusses utilizing data (e.g. PQRS indicators, MDS data, patient satisfaction) to improve care of their patients/residents. This module presents content about striving to improve personal practice and patient/resident results by evaluating patient/resident adverse events and outcomes (e.g. falls, medication errors, healthcare acquired infection, dehydration, return to hospital). Identify physician performance expectations based on various resources including but not limited to regulatory requirements, facility policies, and professional standards for practicing in the skilled nursing facility/nursing facility (SNF/NF) and other PA/LTC settings. Develop a self-assessment and feedback process (peers, medical directors, staff, performance and outcomes data etc.) to facilitate recognition of areas and opportunities of professional improvement. List resources that are relevant to PA/LTC practice that facilitate professional development. Create a personal professional development plan that identifies resources and uses feedback from diverse sources. Describe the sources of, basis for, limitations, and implications of data on processes and patient outcomes. Interpret data on process and patient outcomes e.g. PQRS measures, patient satisfaction survey, MDS quality Indicators, ACOVE indicators). Utilize relevant information, including but not limited to data, to improve processes of care and patient outcomes. Identify positive and adverse outcomes in individual patients and their impact on facility risk and compliance. Develop a plan to anticipate, prevent, and monitor for events related to medical care and treatments. Analyze how physician performance and practices can lead to positive and negative outcomes for the patient and the facility. Design a personal and professional improvement plan based on the analysis of positive and adverse events and outcomes. 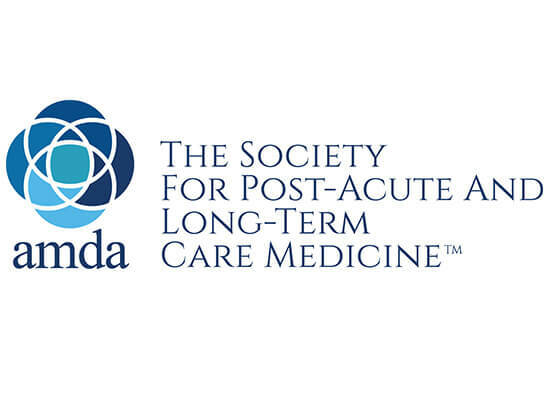 Disclosure: AMDA - The Society for Post-Acute and Long-Term Care Medicine has declared that no conflict of interest, Relevant Financial Relationship or Relevant Non-Financial Relationship exists. The target audience for this course is: Physicians; in the following settings: Post-Acute Care.